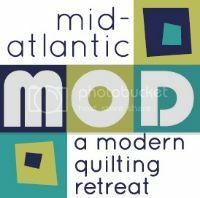 Philadelphia Modern Quilt Guild: Spotlight on... CATHY! Here we are - back again with another interview! Our quilt guild is shaping up to be quite the gathering of talented quilters. Please read on to learn more about Cathy Fry. • Tell me a bit about yourself: name, location, affiliations, personal stuff. Cathy Fry , Warminster, PA. I have 2 married sons, 2 daughters-in-law and 3 beautiful granddaughters. I used to tell my boys that they had to pick great girls because I didn’t have any daughters. My daughters-in-law say they are my girls! I survived raising 2 boys with the sports, the mess, the fighting and all that goes with boys. I’m proud to say they are both great dads and they married wonderful girls. I’m very involved in a charity – Aid for Friends. It is based in northeast Philly and serves the suburbs also. They provide companionship and dinners for shut-ins. It is a great program and helps keep a lot of elderly people in their own homes and out of nursing homes. • What do you do (employment or for fun)? I work part time doing administrative work. I’ve worked at the same place for 23 years although the company changed ownership about 2 years ago. I find I’m happy when I have a sewing project going. I also crochet, do some scrapbooking and I been working on family genealogy for probably 20 years. I also love to travel – my husband and I are planning a trip to Nova Scotia in September. With our oldest son living in Key West, FL, you can guess where we head for most of our vacations. I decided the first granddaughter needed to have a handmade quilt. I bought a ‘how to quilt’ book, picked a pattern, and jumped in feet first. I hadn’t found my favorite quilt store at that point so I just bought the fabric at JoAnn’s. I decided to show my son and daughter-in-law and not make it a surprise. Amanda loved it and was thrilled to have all the bedding handmade. We designed the bumpers together. Amanda is very creative, but she is not much of a sewer. ! I have made 2 full nursery sets – quilt, bumpers, skirt and even made a crib sheet – but just one. My daughter-in-law, Lisa, had picked a nursery set and bought it. Lisa has trouble picturing things done and had something specific in mind. I did make a quilt for little Jill, but not the whole nursery set. • How old were you when you made your first quilt? Let’s not talk about age! Let’s just say had been an adult for a very long time! I took my first sewing lesson at about 11 years old. My mom is always my consultant. She was so impressed with the stippling on the Celtic Quilt. She had never seen anything like it. She kept looking at it trying to find the stitches. I taught myself with a bit of help with problems from my mom. I took 1 class at Country Quiltworks which I enjoyed, but I wasn’t really into the traditional classes they offered. I also took a basic course at Byrne’s and discovered the difference between ironing and pressing (which is helping me solve some of my problems)! I guess I’d have to say seeing it all come together. It takes me so long to select fabric and I’m always relieved to see things work out. I am enjoying the quilting blogs and online fabric stores. I love the idea of buying fabric from a specific line and know that it will all work together. What a relief for someone like me. Picturing the finished product. I struggle putting fabrics together and I think I drive the sales people in the quilt stores crazy asking opinions. Beyond that just be exacting with every seam. I’m a ‘make it work’ person at heart. I have a rather unusual laundry room. It is more like a storage room. We redid it a couple years ago and my husband built a work area for my sewing. It is not large but it works – for now. The problem is I use the dining room table to do my planning and cutting which is not ideal. I have my eye on an empty bedroom that is now used as an office and your basic junk room. I can picture what I want and my husband says we’ll start in the fall. I’m going to have to put some pressure on to get that job to the top of his list! The small items I have quilted on my sewing machine. The biggest quilted item I’ve made is a throw and I hand quilted that. I do enjoy hand sewing but I can’t imagine doing a queen size quilt. If I have a project going, every available minute! On my days off I can’t let myself sit down at the sewing machine until what needs doing is done - then I need to be dragged away from my sewing machine. No, but that is going to change. • Have you ever taught someone to quilt? I helped both my daughters-in-law make quilted totes but it hasn’t gone any further. Something usually catches my eye. I am often drawn to blues and greens but reds and purples are high on the list. Country Quiltworks was my favorite store but they are either downsizing or closing. I have just recently discovered shopping for fabric online and I love it! I thought it would be a problem matching colors without having them in my hand. With the fabrics grouped by designer and the complete coordinated lines, it is so much easier than I thought. I might be developing an addiction! I bought fabric for Julie Herman’s Circle Around quilt, but I haven’t started it yet. I picked Cherish Nature by Deb Strain for Moda. I also just ordered a charm pack to make another Chubby Tote for one of my daughters-in-law. I’ll probably work on the tote first because she’ll be up from Florida in July. I have done some simple quilts on my own. They were both baby quilts that had larger center panel (1 picture panel & 1 of a fabric I loved) and I added borders to get the size I wanted. I am a pattern girl at heart. I will change things in a pattern, but designing is a word I associated with other, much more talented people. I have done lots of sewing crafts. Probably by far the most unusual thing I’ve made are Temuri Balls which are Japanese thread balls. I made 3 of them and they are beautiful! It’s a good thing I loved my dog, because when he got one, I thought I might have to kill him! I crochet and do some scrapbooking too. I’d like to like to get more comfortable with the quilting process. I seem to spend too much time undoing and redoing and trying to figure where I’m going next. I love the quilts I see that look so random and creative. Someday I would like to tackle something like that. I don’t have friends that quilt so I feel very on my own. The quilt guild is just what I needed. The Celtic Quilts were the biggest challenge. Thanks Cathy for taking the time to answer all my questions. The photos are just great and the guild is so happy to support you in all your quilting endeavors! The spotlight will be back in two weeks - see you then!